A quick, hassle-free way to stay on top of robotics news, our monthly digest is released on the first Monday of every month. Sign up to get it in your inbox. Opensource 3D printed “Poppy” humanoid hopes to enable experimentation in robot design. October’s robotics news was awash with stories about 3D printing, which is being used for anything from building houses from mud to assisting in teleoperation and giving UAVs their wings. One of the most popular pieces was a feature on Poppy, a 3D printed open source humanoid, which will enable researchers to quickly print custom body parts and experiment with design in ways that weren’t possible before. And with Arduino’s launch of an open source, reasonably priced 3D printer, making those body parts will now also become much easier and more affordable. The possibilities of 3D printing are huge and some users have already sprinted ahead. Joel Gibbard was recently recognized as young designer of the year for the 3D printed bionic hand he developed, and also made the Intel finals. Readers may recall that regulation was a hot topic last month, largely stemming from Ryan Calo’s Brookings paper The Case for a Federal Robotics Commission. The debate continued this month, with Frank Tobe questioning the need for a new regulatory body in the US, and Andrea Bertolini from the EU’s RoboLaw project explaining why and how robotics should be regulated. Drone regulation in particular (rather than robotics regulation in general) also received some attention this month, as Skyward announced the first ever commercial drone network demonstration project in Las Vegas, Vancouver, London, and Portland, and Airware said it is joining forces with NASA to develop a drone air traffic control system. 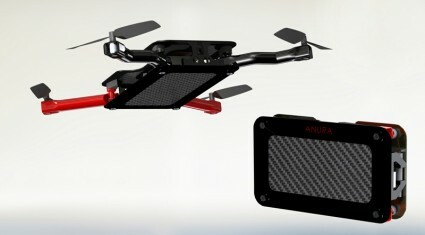 While discussions about drone regulation are on-going, drone developers continue their work, launching a new tethered mini-drone that can fly for two hours straight and introducing Anura, the first foldable pocket drone. The last week of October was not a good week for the commercial space industry. On October 28 Orbital Sciences corporation lost its Antares launcher Cygnus spacecraft in an explosion. Orbital Sciences was one of two private companies under contract from NASA for supplying the International Space Station with cargo, supplies and secondary experimental, and commercial ISS payload, and many science experiments were lost in the explosion, including 26 cube sats from Planet Labs. Then on October 31, Virgin Galactic’s SpaceShipTwo broke apart in midair, leaving one pilot dead and another seriously injured, leaving many to question the future of the private space industry. Earlier in the month had cheerier news, with various new players announcing their entry into space exploration. Luxembourg and China teamed up in a bid to launch a private mission to fly around the moon, which will be the first of its kind. At the end of September, India joined the “Mars Club” when its Mars Orbiter Mission (MOM) probe arrived safely on Mars. And the United Arab Emirates have now started building their first probe destined for Mars, which they hope to launch in 2021. Meanwhile, the European Space Agency is planning to make history as well, as it confirmed the primary landing site for Philae, the first ever lander to attempt soft touchdown on a comet. Philae will be released on 12th of November and we will know whether the mission was successful by around 15:30 GMT. SMART-NUS enhanced driverless buggy. The steering wheel has been removed and replaced with an in-vehicle touchscreen for alternate selection of destination. Researchers will shadow the buggy on electric bicycles during the demo. While some are hoping to advance robotics in space, others are firmly planted on this planet’s surface. 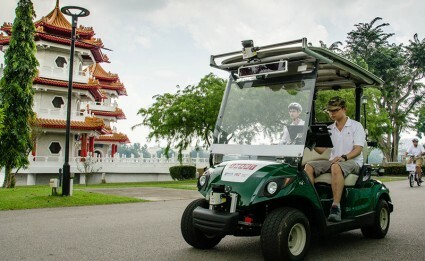 In Singapore, autonomous golfcars are currently being tested publicly in the Singapore Chinese and Japanese Gardens, and in Michigan, the state university is now building an entire town to test driverless cars. Others renewed their commitment to developing autonomous vehicles this October, with various announcements of plans and advances in the robocar industry, including news from Audi and Tesla. This despite doubts whether autonomous cars will ever fulfill their promise. All this talk about being replaced by robots is getting old. 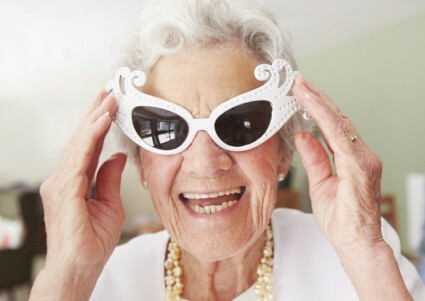 For the elderly, autonomous cars could mean more independence andfreedom, whilst allowing residents of retirement communities to stay safe on the road, and some are suggesting that robocars could be a natural fit for retirement communities. 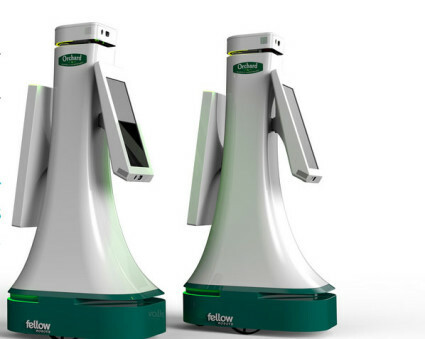 Beyond providing transport, robots have plenty more potential to contribute to the care of the elderly; with this population increasing to a predicted 1.6 billion by 2050 in the US alone, they could offer a solution to the dilemma many family carers face today: to work or to provide care. Some have gone as far as to say that it may be the retirement communities that will drive the wider acceptance of robots in society. Japanese Prime Minister Shinzo Abe delivering an address at the Robot Revolution Realization Council. Source: Prime Minister’s Office. When it comes to accepting robots as part of everyday life, Japan certainly is a step ahead of many other countries. 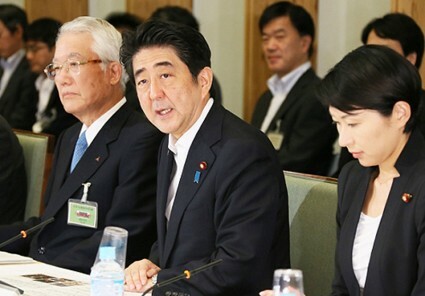 This fall, the country’s “robotics evolution” council met for the very first time to discuss how to promote measures to increase the use of robots and related technologies with the goal to make Japan a showcase for service robots by 2020. Befittingly, October was also the month in which the Japan Robot Week was hosted in Tokyo, with a special focus on assistive (service) robots, such as nursing robots, life support robots, disaster response robots, and even a robot by Kawada Robotics that sold coffee to visitors. Kawada’s NEXTAGE robot already has competition, however, as Softbank struck a deal with Nestlé to bring Pepper to 20 of its stores by year end to help them Nescafé products. Nestle hopes to deploy them in over 1000 of its stores within the next year. At your service: OSHbot by Fellows Robot. Robot assistants aren’t just selling coffee. Fellow Robots, in partnership with Lowes Hardware, launched the OSHbot this October to help assist customers at their Orchard Supply Hardware store in San Jose. OSHbot will help customers search for items and find information about products, and will also help store employees with inventory management. At the Robobusiness convention in Boston, the winners of Pitchfire were announced, with a Norwegian startup company called NLink taking first prize for their robotic drilling and measuring system for ceiling work. Two other startups from Boston and Helsinki received honourable mentions. Robobusiness also saw the launch of Qualcomm’s robotics accelerator, which seeks to fund ten companies that create smart machines and robots. Applications will be open until February 22nd 2015. This came on the heels of an announcement by Robot Labs that it is looking to fund robots that can change the world with its latest round of seed stage funding. Up to $350,000 are up for grabs and applications are accepted on a rolling basis. Overall, business news this October were positive with reports showing an increase in robot sales and experts predicting steady growth for the sector. Additionally, a number of acquisitions and new partnerships promises exciting developments. Kuka bought Swisslog for $357 million, adding a mobility arm to its product line. Robotshop, a Canadian company, proceeded with its expansion, adding FlyingEinstein to the growing list of companies it acquired over the last few months, becoming the exclusive source for FlyingEinstein’s products, such as the Quadrino Nano Flight Controller. 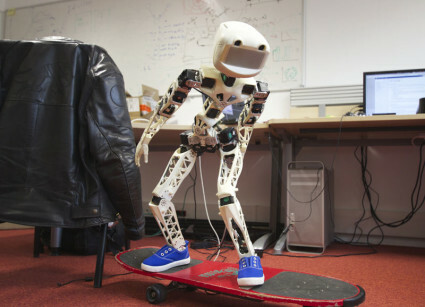 Finally, Google added two British startup companies to its robotics arm. The startups are Dark Blue Labs (a developer of systems to understand natural language) and Vision Factory (a developer of systems capable of the visual recognition of objects). Google also partnered with Oxford University, giving substantial contributions to the education hub to expand its AI and deep learning capabilities. Perhaps the biggest business shakeup this month, however, was the news that Andy Rubin has departed Google to start a tech incubator focused on hardware. Rubin was the Google executive who was in charge of the company’s robotics group. This October many celebrated Ada Lovelace Day, an international celebration of the achievements of women in science, technology, engineering and maths (STEM). Although we can’t do justice to the many things that went on during the Ada Lovelace celebrations, we will mention some. Steve Henn, NPR’s technology correspondent, published an interesting story exploring why the number of women taking up computer science suddenly dropped in the 1980s and hasn’t recovered since. A recently published book, “The Innovators” by Walter Isaacson, praises the contribution of many women in robotics and emphasises that most robotics developments come out of collaborations of people (many of whom were female). At Robohub, we also joined in the Ada Lovelace spirit, publishing this year’s list of the 25 women in robotics everyone should know about, and the Robots podcast aired a special episode on how to engage girls in robotics. 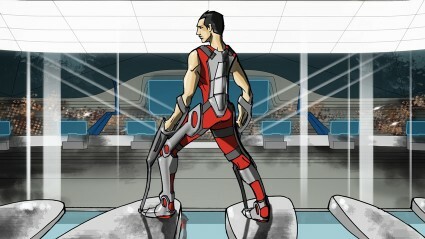 Registration for Cybathlon is now open. Last but not least, October was also a very special month for us at Robohub, as we celebrated our second birthday. We have come a long way from our humble beginnings and now have over 50,000 unique visitors each month and hundred of robotics experts contributing. We hope to continue on this trajectory with the help of our loyal readers, so to find out how we are doing and how we could improve, we have launched our second annual reader survey, open to all visitors of our site. Your feedback will help us immensely, so if you have a spare minute or two, why not complete the survey and tell us what you think?